Get lost in a sea of plush coziness! Media lounge sofas bridge the gap between extended media viewing and living room relaxation. 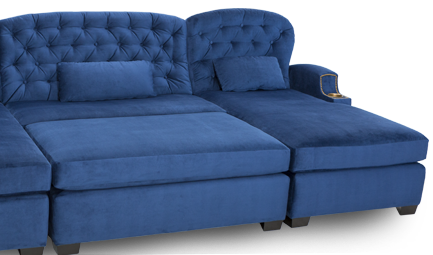 Inviting chaise loungers, ottomans, loveseats, the lounge sofas category will provide you with plenty of choices to complete your dream hybrid living room / media room experience. MEDIA Lounge Sofas An Ocean of Plush Comfort Create a space of pure relaxation and enjoyment wherever it's needed most with these custom lounge sofas.